Operating as either a standard 4 head or as two 2 head embroidery machines the SWF K-UH1504D sets itself above all other machines on the market today. Being equipped with Dual Function Technology (which is patented by SWF), prevents the entire machine from shutting down if a thread breaks and allows embroidering on hats and hoops at the same time. In addition, you can run one job while setting up the next (making for zero downtime on your machine). All four heads are controlled by a single large 10.4″ Graphic TFT LCD touch panel, making it fast and efficient to switch between designs. Fitted with the Quick Change Cap System and the Automatic Oiling System makes K-UH1504D one of the most efficient machines on the market. 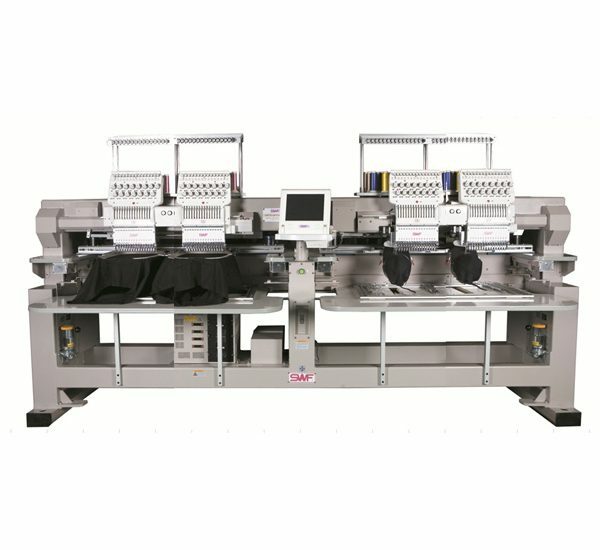 If you are a small to mid-sized embroidery shop or are just looking to expand your embroidery services, contact us today to get a quote on this Dual Function K Series Machine.